Professional installation outcomes. Big remodeling jobs or smaller tasks. They finish your ceiling and wall repairs. Knowledgeable and easy-going job team. No-pressure estimates. They can work around your schedule. Top results are guaranteed. Are there brand new ceilings or walls in the near future at your house? Or maybe you have a separation, hole or seam you want to get fixed. This company is focused on putting up and restoring walls and ceilings. They are pleased to work on any job you have. Whether it’s a basement improvement, commercial building or some basic repairs. Their repair projects are diverse. The majority are from the results of common accidents or several years of heavy use. Other projects are a result of water damage. They are ready to deal with anyone who owns a building they need worked on. 1. Bring the gypsum drywall to the work place. 3. Clear up and remove garbage and extra material. 4. Tape the joint seams and apply joint compound to each taped area and screw head. Once your new surfaces are finished and dry, you’ll be able to open up the paint and begin painting. They ordinarily take care of the whole project, from delivery through to the last finishing, but once in a while clients want them to do just a few of the steps instead. For instance, it’s possible that a homeowner is not intending on painting the ceiling or walls right now, so they have them overlook the final finishing and texture application steps. Sometimes a homeowner already has sheetrock up on the wall, they are seeking somebody to complete the rest of the job. So sometimes they call about just doing that. Standard sheetrock is not intended for high moisture areas, like shower and bath spaces, so they use a water resistant board they can install there. Plus they have a strong backer board product they use on walls where you intend to install heavy tile. Holes and dents get unintentionally made in ceilings and walls every day. And plumbing mishaps damage plenty of sheetrock too. If your home has just a single hole, and that hole is at a place where most people will never see it, you can try and fix it on your own by putting in a patch. A homeowner’s initial attempt at putting on a repair patch normally won’t be flawless, but it’s usually okay. If you realize you don’t have a natural talent for it, you can always contact someone to help. A hole in a really visible area should probably be taken care of by somebody who has experience doing those types of patch repairs. Some homeowners worry their repaired or new surfaces won’t match their older surfaces, but your contractor will pay attention to make sure they do. Fixing an isolated single hole or dent. Getting several unattractive or damaged interior walls restored and all ready for painting. Eliminating and upgrading sections of ruined drywall. Undertaking bigger size replacement of one room or even more. They will assist you no matter how little or big your upcoming repairs are. Fully unfinished – just taped, suited for unfinished work or storage areas or garages. Basic texture – gives you a little bit more dimension. Texture matching – your new surfaces match your old ones. Do your ceilings have that popcorn surface texture? Want to get rid of it? These folks can take it off and replace it. 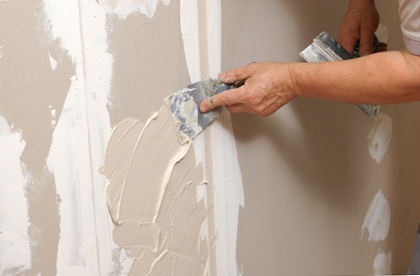 They are one of the best local full-service drywall companies. 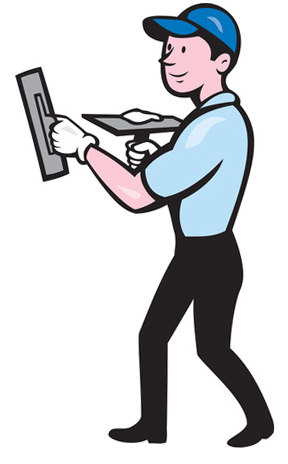 They do their best to provide the best work possible for a good cost. They use only good quality products, safety gear and tools to get your project finished quickly and safely. Any kind of home renovation job will stir up lots of dust. This crew does their finest to keep your dust and dirt to a minimum. Once your assignment is complete, they try to pick up as well as they can and take all the excess material and junk with them when they leave. Over time, they have finished all sorts of projects. They have performed renovations in houses of all types, apartment buildings, industrial and retail sites. They are not the only business in the area who can undertake your project. But you could get started today by calling. Your project cost will be based mostly on two things – how much materials they will use and how many hours it will take to finish the project. They don’t have a good way to give a quote by email, the best way to find out the likely cost would be to start a short call. If you don’t have somebody planned for the painting part of the process, they could take on that job and get it done for you as well. If you like to do your own painting, or if you prefer to use a different painting contractor to get it done, they will be okay with whatever your choice is. They work in quite a few of the areas north of Bellevue. Call if you’re near Totem Lake, Highlands or the 98083, 98034 or 98033 zip codes. They work at properties all over the north suburbs of Bellevue. This includes Kirkland, Totem Lake, Highlands and the 98083, 98034 and 09033 zip codes.